A software maintenance process implies a high difficulty degree, since it tries to keep a current version operational, concurrently with the execution of changes which once implemented must guarantee the service continuity. Therefore, the adoption of a methodology requires the accurate identification of restrictions and characteristics of software maintenance which allows anticipating risk situations and guaranteeing aim compliance. 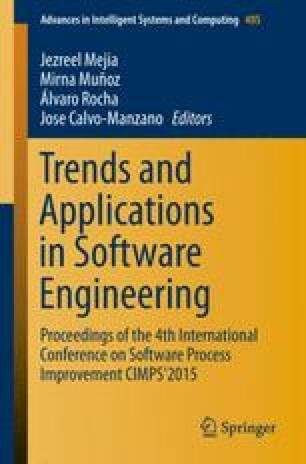 The current study examines contextual factors and its influence in a maintenance process using agile methodologies. Specifically in the maintenance of the Registry System, Assessment and on line Applicators and Auxiliaries Selection case study in the admission process to the Universidad Veracruzana. The results confirm the success of the adoption is highly associated to the identification of situational factors, to the discipline for the activity registration and control, as well as in the communication techniques and applied management.